Mark Campbell is proud to carry in to the third generation the firm started by his grandfather over 100 years ago. 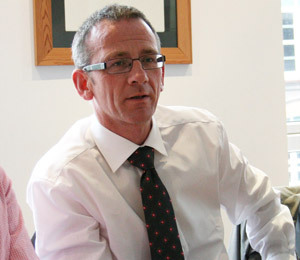 Mark graduated from Queens University in 1988 having been with the firm since 1984. He attended the Institute for Professional Legal Studies and was awarded the Thomasina McKinney Prize for the best solicitor student and was admitted to the Role of Solicitors in 1992. Mark deals extensively with all aspects of family law including separation, divorce and ancillary relief. He also deals with Children’s Law and is a Solicitor authorised to act on behalf of children under Accreditation from the Law Society. He also deals extensively in criminal law ranging from advice at Police Stations up to District Judge’s Court and Crown Court level. He is also responsible for Wills and Probate matters. Advanced Advocacy Certificates since then.